Did you know that Indoor air pollution has been described by the EPA and Congress as America’s #1 environmental health problem? The EPA also reports that indoor air can be up to one hundred times more polluted than the air outside. One hundred times! 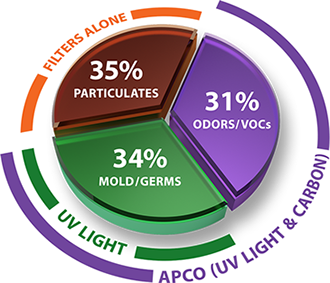 Air pollutants and poor indoor air quality can cause allergies, sick building syndrome, bacterial infections, and spread viruses to name a few. For nearly 130 years, we’ve been pioneers in developing heating and cooling systems that have provided families like yours with consistent, quality comfort. 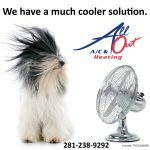 Today, we can improve your home comfort even more with an innovation that takes clean and comfortable air to a whole new level. 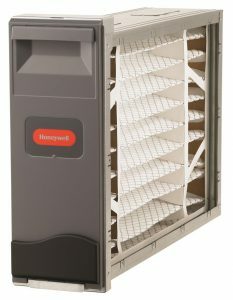 The Honeywell Whole-House Media Air Cleaner is up to 85% more efficient at capturing both microscopic particles like dust and smoke in addition to larger contaminants such as mold spores and pet dander. This highly effective air cleaner also requires minimal maintenance. Basically, once you install the filter you only need to replace it every 6-12 months. That’s four times longer than a standard one-inch furnace filter. Wifi thermostats can manage your energy use, adjust temperature and humidity levels, turn on and off lights, lock and unlock doors and check your security cameras. All of this can be managed remotely through computers, tablets and most smartphones. So, they really are more than just thermostats. They’re the central hub for your home. 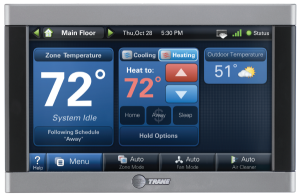 Non-wifi thermostats can also help you get simple, precise temperature control with both programmable and non-programmable traditional thermostats. You get to choose the connected control or the traditional thermostat that’s right for your home. If you want to control your thermostat over Wi-fi, a connected control might be right for you. If you have a regular routine, a traditional programmable thermostat could be a great fit for your lifestyle. Programmable thermostats can be set for multiple days at a time, so you don’t have to worry about adjusting the temperature each morning and night. Benefits of zoned air conditioning systems. 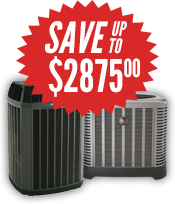 Increased Comfort – No more rooms that are too hot or too cold Energy-Efficiency – Heat or cool only the areas you want, allowing you to save energy Increased Control – Control heating and cooling comfort where you want it, when you want it. We all need clean air to be healthy and thrive. 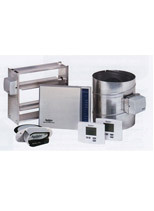 According to the EPA indoor air pollution is often five times worse than outside air. Our Ultra Violet Sanitizing products protect your family, extend the life of your air system, and reduce energy and maintenance costs. Conventional filtration is effective against particulates, like dust, but has no effect on the other two thirds. Our Ultra Violet Sanitizing products, such as the Blue-Tube UV, are proven to sterilize biological contaminants like mold, germs, and viruses in the air and on air system surfaces. 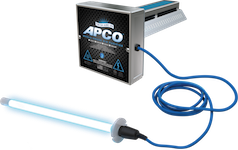 The award-winning APCO Sanitizing Systems neutralize odor-causing VOCs as well as biological contaminants inside the air system and throughout the home.